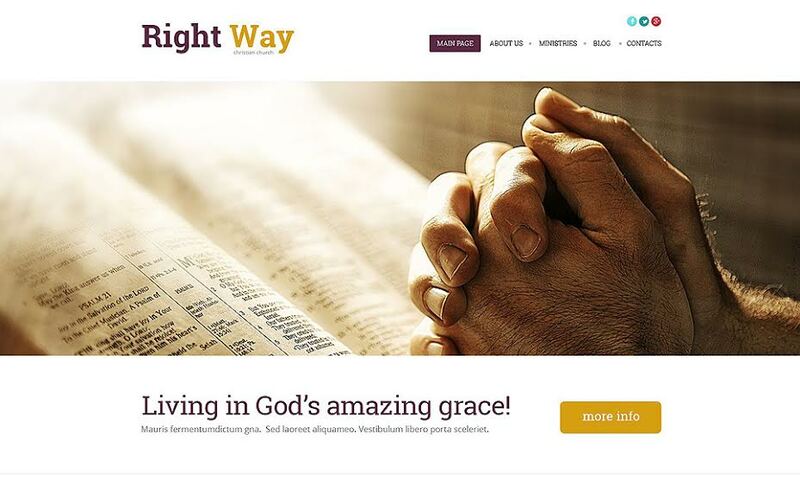 Searching for a powerful, user-friendly well-designed template for your religious website? Well, you are just in a right place. As technology is constantly developing and is integrated into every sphere of our lives, it’s important for religious organisations embrace technology and carve out an online presence for themselves. 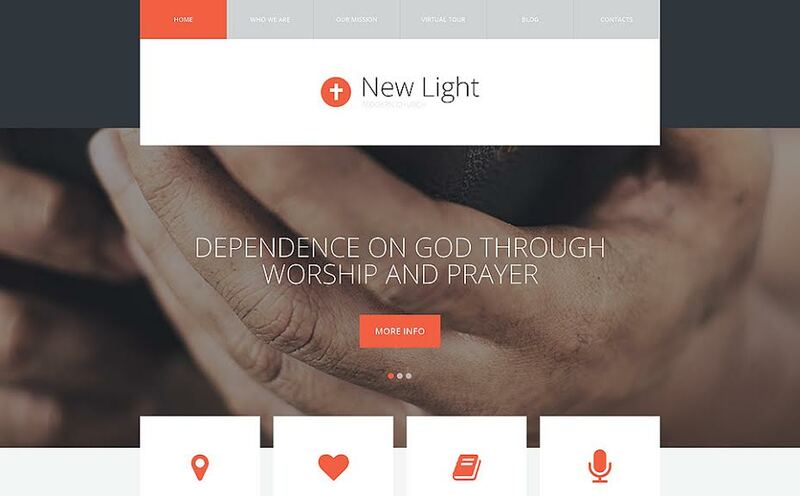 That’s why we’ve gathered together six easy to use Church WordPress themes. Responsive WordPress themes with superior designs will display your website perfectly on any screen of all the devices from desktops to mobiles, allowing on the go users to look through your website while using any type of device. 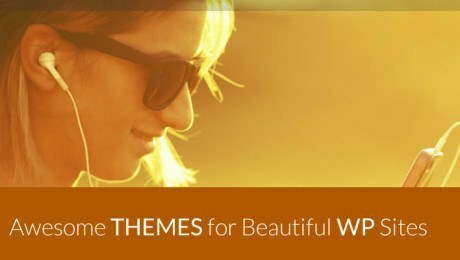 So let’s have a quick look through the themes and choose a perfect template for you! 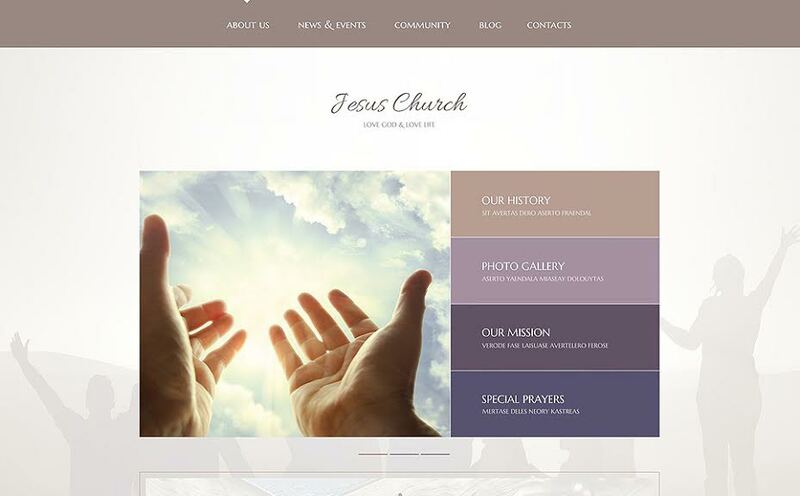 The Jesus Church WordPress theme is just perfect for a church website. The responsive design helps your website perform perfetly on any screen of any handheld device while cross-browser compatibility lets your clients use any browser. The soft colour scheme is enhanced by legible Google fonts and the well-organised content structure provides a perfect user experience for the web users. 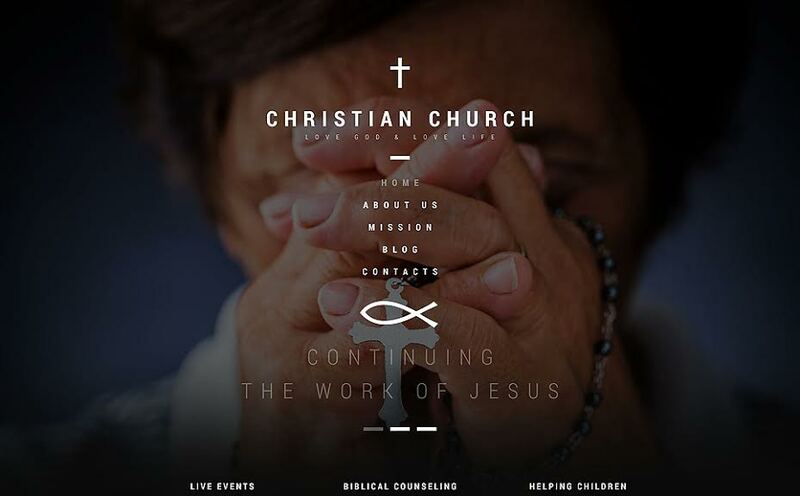 The Christian Church WordPress theme can be used for distributing your message to the audience. Responsive design will help your website look great on any display, regardless of what device your clients prefer to use. The template is powered by diverse features like sliders, cross-browser-compatibility, Bootstrap functionality, custom admin panel and lazy load effect. This template is a great choice for those who want to reguarly update and edit their content. 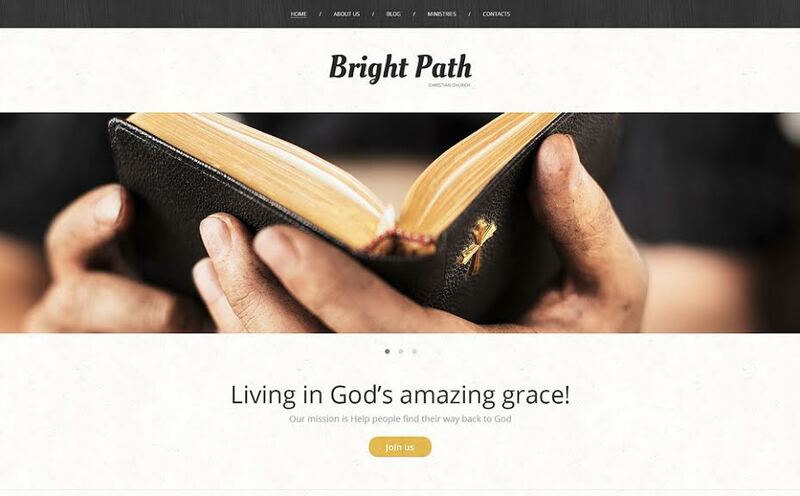 The Religious WordPress Theme freatures a content structure that is well-organised and will help you provide a perfect user experience for your clients. The template includes a built-in Google map to let the users easily find your church and the admin panel is easy to use, so you can edit and customise content by yourself with minimum effort. 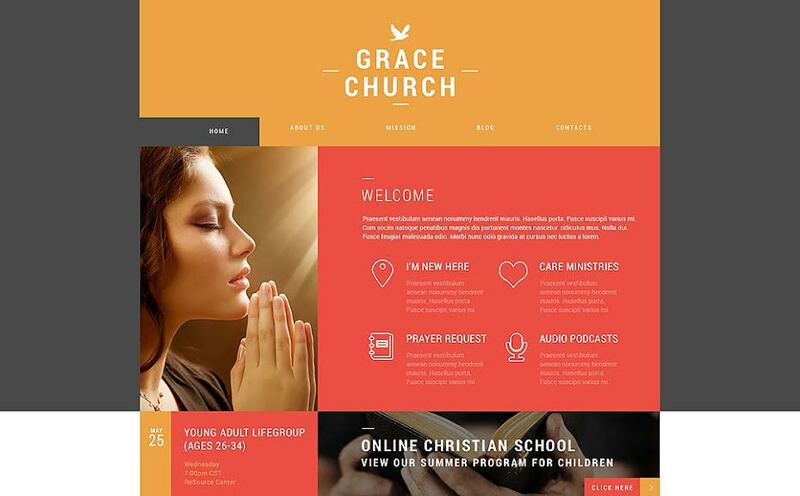 The Religious Organisation WordPress theme is a graet choice for a wide variety of religious organisations, whether you’re a place of worship or a charitable community effort. 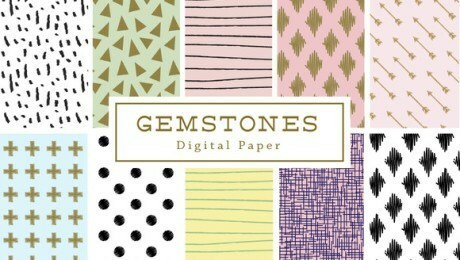 The template is perfect for websites with varied content, as the diverse fonts will help your text to shine. The colour scheme of this theme indicates peacefulness and safety and the convenient menu will catch the eye of the clients and help them find exactly what they’re looking for. 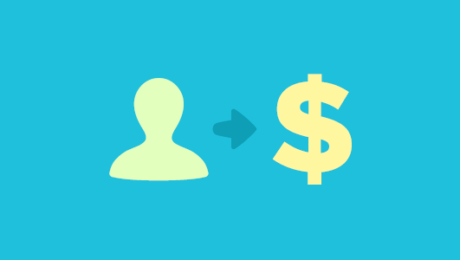 The template is easily editable and has diverse shortcodes to help you build your website. This theme’s well-structured menu will let you organise your content in a convenient way for both you and your web users. The template is powered by diverse features like custom pages and widgets to help you build your website with minimum effort.